It was Clifford Geertz who observed “Culture is a story we tell ourselves about ourselves”. But while anthropologists have made careers out of listening to stories, we have rarely been their authors. Fiction is a wonderful medium through which to explore new ideas: it can put you in a context that is entirely new; it can lead you to engage empathetically with people you’ve never met, or who live in a past, a present or a future you’ve no frame of reference for. As such, you could say it’s got a lot to offer anthropology and design. Always keen to pass on a good book recommendation, I thought I’d share some of my top reads. These are stories, not textbooks, but they resonate with some of the themes and concerns of design and anthropology. For anyone who’d like to read a bit more about ethnographic fiction, I recommend a post written by Dr Jessica Falcone for anthropology blog Anthrodendum (until recently, Savage Minds). This is a book I cannot recommend enough. It blends two of my favourite genres: anthropological memoir and murder mystery. The story follows a journalist living in northern Thailand, as he slowly unravels the events that led Berkeley anthropology student, Martiya van der Leun, to commit murder. It’s a gripping story, well-told, but what Berlinski does especially well is to put you in the shoes and psyche of his characters. These are a diverse bunch: a Dutch anthropologist raised all over the world by her linguist father; a family of Protestant missionaries, originally from the American Midwest but for many generations settled among the (fictional) Dyalo; in turn, an ethnic Tibetan community of rice farmers living in the hills on the Thai-Burma border. The secret to understanding how anthropology student Martiya became a murderer turns out to lie at a confused intersection of these three worldviews. Berlinski has also done his homework. We all love reading about ourselves, and I freely admit that was something I enjoyed about Fieldwork. Berlinski brilliantly captures what it feels like to be a first-time fieldworker, immersing yourself in an unfamiliar context and culture, learning to walk the tightrope between your personal and professional selves, trying to forge real relationships and gather ‘good data’. Through Martiya, he explores the personal and emotional side of ethnographic research that is often suppressed in academic writing. For those who want to try before they buy, I can also recommend his Into the Zombie Underworld. I grew up on a steady diet of fantasy novels, and Ursula K. Le Guin was firm favourite, up there alongside Terry Pratchett and J.R.R. Tolkien. But it wasn’t until recently, on the recommendation of a colleague, that I discovered her futuristic science fiction. 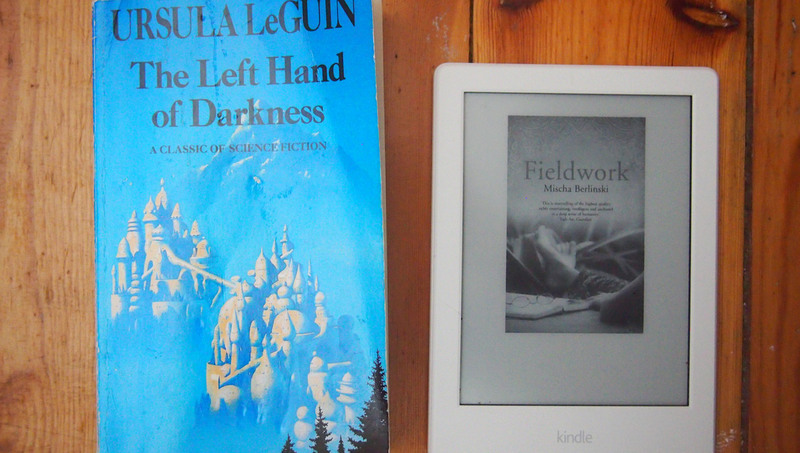 Le Guin, like the others, has a gift for world creation. The Left Hand of Darkness is a futuristic, first contact story set on the planet Gethen. The narrative follows the story of Genly Ai, the Envoy of an interplanetary trade alliance, the Ekumen. Ai is charged with bringing Gethen into the alliance – a difficult task given that its inhabitants have no awareness of the planets and people beyond their own. Ai’s tactics will be familiar to the anthropologist – he goes alone (so as not to appear threatening) to immerse himself in a foreign culture. His mission is understanding as much as persuasion, which Le Guin conveys in a narrative style that slips between field notes, myth and journal. Over the course of the novel, the reader sees Ai slowly coming to grips with his new social reality, slotting together different pieces of the cultural jigsaw, and gradually developing an emotional empathy with the people around him. The moment Ai finally gains emotional insight is a pivotal one and, without giving too much away, determines the outcome of his mission. 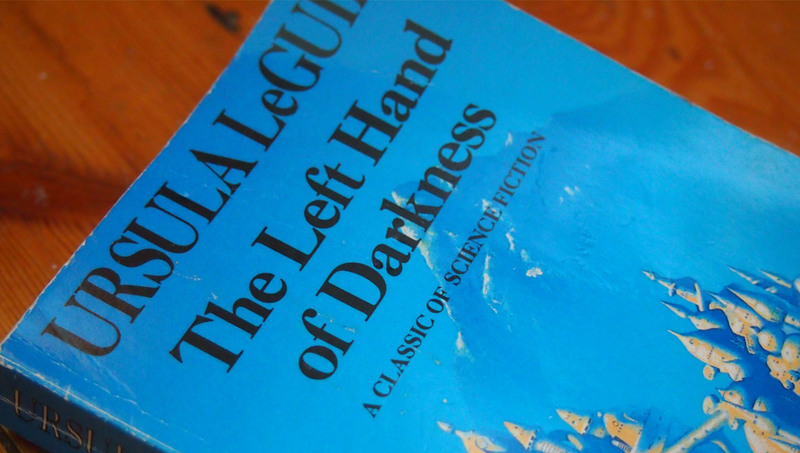 Wonder why Le Guin’s books have an anthropological flavour? Her father was Alfred Kroeber, anthropologist at UC Berkeley and student of Franz Boas. My last pick is a little different. Auto Ethnography imagines a future role for ethnographic research in the automotive industry. Moore’s character Hassan is a programmer, employed in a R&D team working on self-driving vehicles. In an attempt to make sense of surprising new behaviors exhibited by the cars, Hassan turns to participant-observation, reasoning that if the automobiles have developed a kind of sociality, or even culture, it needs to be studied on its own terms. Auto Ethnography is a short piece, but an interesting suggestion for a future role for anthropology and ethnography in the development of AIs.